Luzern (Lucerne / Lucerna), my Swiss home, is located in the Central Switzerland. 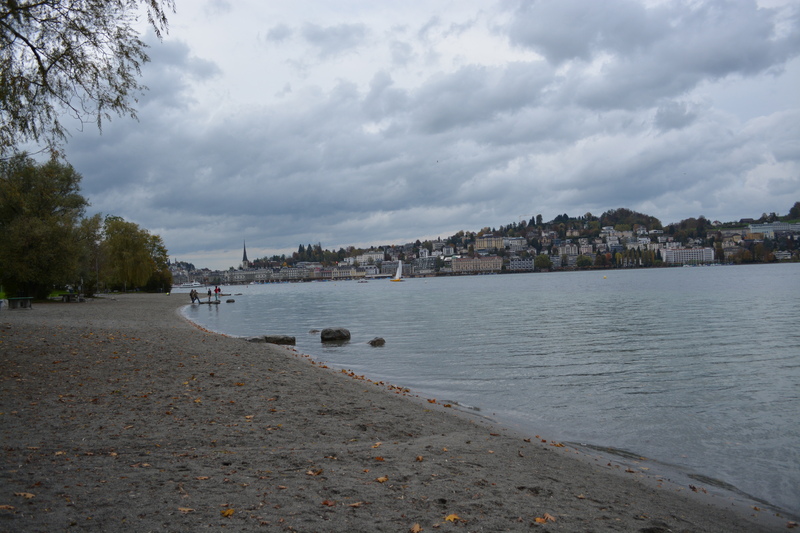 It lies at the lovely area where the river Reuss flow into the Lake Lucerne (Vierwaldstättersee). The Museggmauer is an original section of the old city walls, ramparts and towers of the medieval of Lucerne. Each of the nine towers have their own distinct design and construction. From 1st April to 1st November, four of nine towers are open for public. You can climb up Schirmer, Zyt, Wacht and Männli Tower for free. Männli Tower got its name from the little iron man figure at the top. 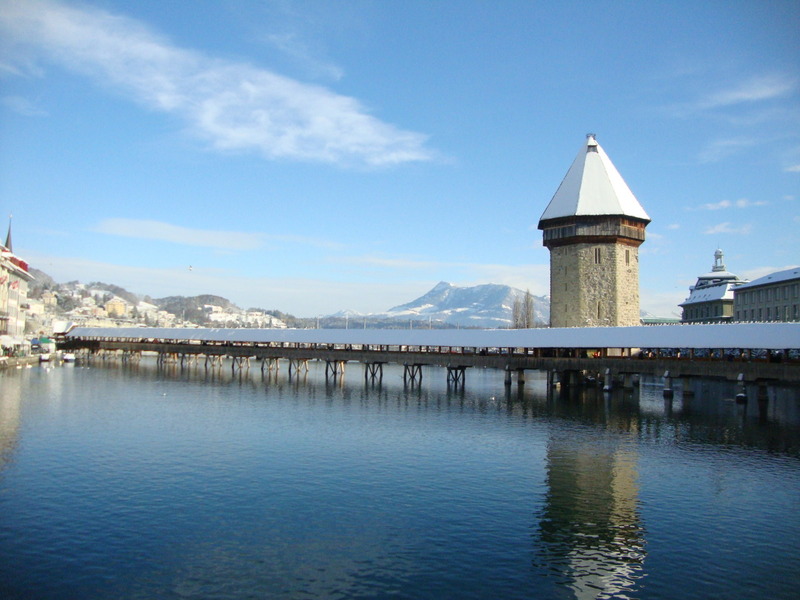 It has open roof where you can enjoy stunning views over Luzern’s rooftops, lake and the mountains beyond of all towers. Schirmer Tower used to served as gateway from city to country. Zyt Tower (eng. Time Tower) contains the oldest clock in Luzern and its mechanism. The clock is set to chime one minute before any of the other clocks in the city. Con: The ramparts are closed for public in winter-time. Switzerland is heaven for sweet tooths like me. As many different types of delicious chocolate as exist in this country, exist nowhere else. If it does, please let me know! Store shelves offers a broad selection of different brands and types of Swiss chocolate. 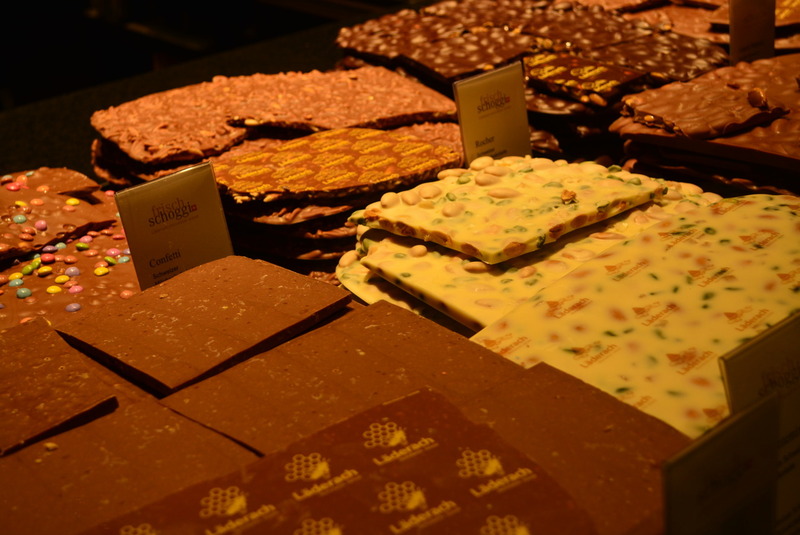 Although pre-packed chocolate is tasty, don’t miss trying the fresh chocolate or pralines at the chocolate shop. It is delicious! Apart from traditional types of chocolate (milk, almond, hazelnut), you can also chose unique types as for instance chilli-lime, pepper-strawberry, corn-flakes et others. Cons: Fresh chocolate is a bit pricey. The Swiss Museum of Transport is modern museum exhibiting all forms of transport as well as communications. No means of transport is left out. Visitors of all ages are encourage to interact with the exhibition via different simulators, quizzes and games. Touching some of the objects on display is allowed and visitors are even allowed to get on some of them (e.g. truck, plane). Museum also shelters planetarium, 3D cinema and the Swiss Chocolate Experience. Con: Museum’s entrance fee is quite expensive: 30 CHF for adults, 15 for children. Not visiting Chapel Bridge (Kapellbrücke) and its Water Tower (Wasserturm) when in Luzern is like not visiting Eiffel Tower when in Paris. Chapel Bridge was originally built in 1333 and is the oldest covered bridge in Europe. Although being almost destroyed in fire in 1993, it has been renovated and is nowadays the Luzern’s most famous landmark. When crossing the bridge, note the series of triangular paintings, showing important events from Swiss history and mythology. Downriver from Chapel Bridge lies less known Luzern’s wooden bridge – Spreuer Bridge (Spreuerbrücke). I doesn’t have a tower, but has a small chapel in the middle. It also features series of paintings, titled “Dance of Death”, showing how the plague affected all levels of society. Con: In high season is possible the Chapel Bridge to be packed with tourists. If you want to take a boat trip and don’t want to spent a fortune, go to Meggenhorn, a penninsula on the northen shore of the Lake Lucerne. 34-minutes boat ride from Luzern will take you to peaceful Meggenhorn Estate where you’ll find a lovely 17th century castle and farm with farm animals (e.g. cows, sheeps, chickens, pigs). 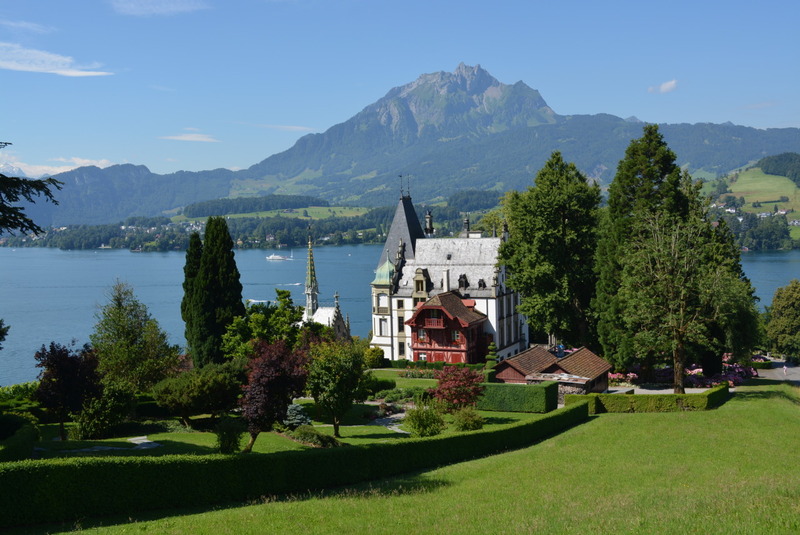 Walk along the paths connecting different spots of the estate and enjoy the spectacular views to the lake, city of Lucerne, Mt. Rigi, Mt. Pilatus and the surrounding Swiss Alps. Con: The boat ride is only available in the summer-time. In other seasons is Meggenhorn only accessible by road. 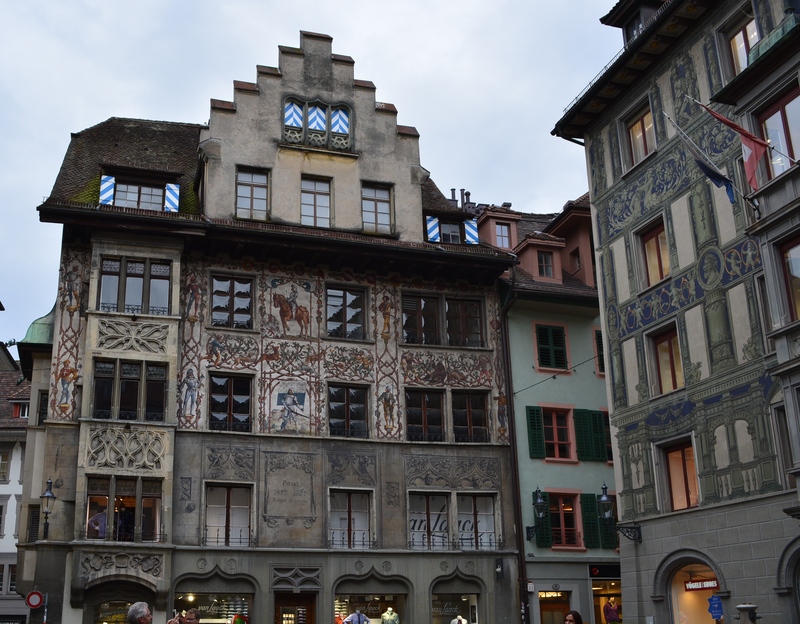 Luzern’s Old Town is located just north of the river Reuss. Just wander the old cobbled streets and squares and get the taste of picturesque architecture. 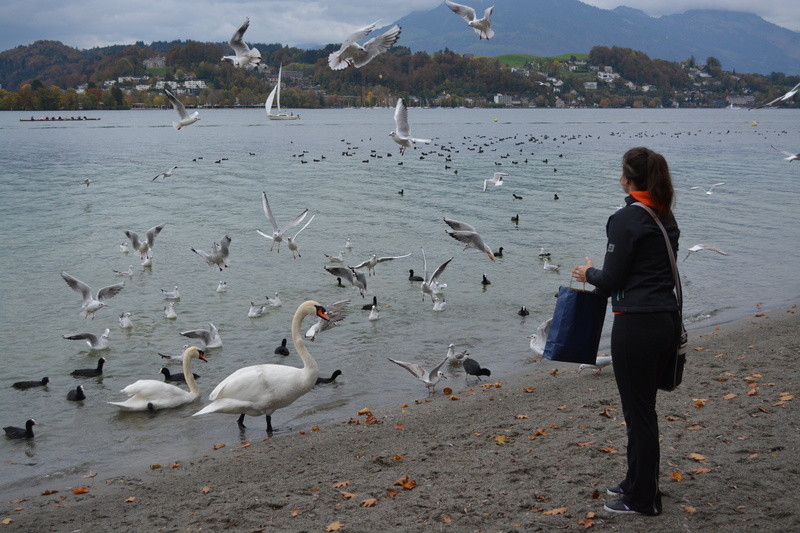 Lake Lucerne is home to many birds species. If you’re not afraid of birds, get some bird food and soon flock of “hungry” ducks, swans and seagulls will come. Enjoy their show. The birds are used to people and some of them are so friendly, they would eat from your hand. The Lion Monument (Lövendenkmal) is found in a small park near the Löwenplatz. 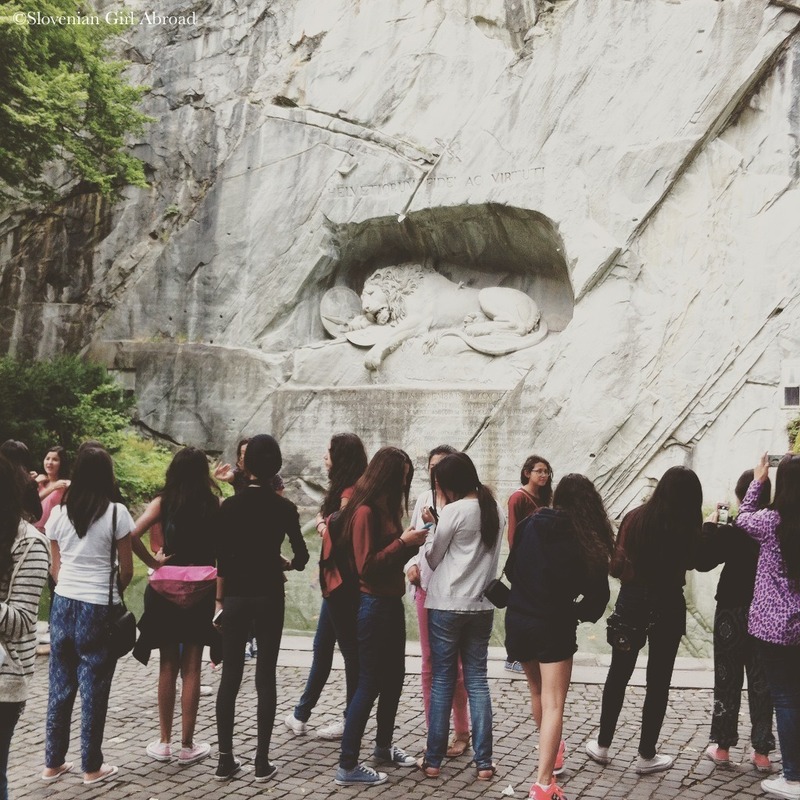 The Bertel Torvaldsen’s carving of a dying lion commemorates the hundreds of Swiss Guards who were massacred during the French Revolution. Just sit on a bench in the park and enjoy the remarkable masterpiece. If you ever watch or read the Chronicles of Narnia, I’m sure carved lionwill evoke associations of Narnia’s Aslan at the stone table. The Golden Round Trip is not only a great way to see the Pilatus mountain from different angles, but also to experience diversity and efficiency of Swiss travel system. The trip starts by boat, continues on the Pilatus Railway (world’s steepest cog railway!). When on top of Mt. Pilatus at 2.132 meters, enjoy the spectacular views. 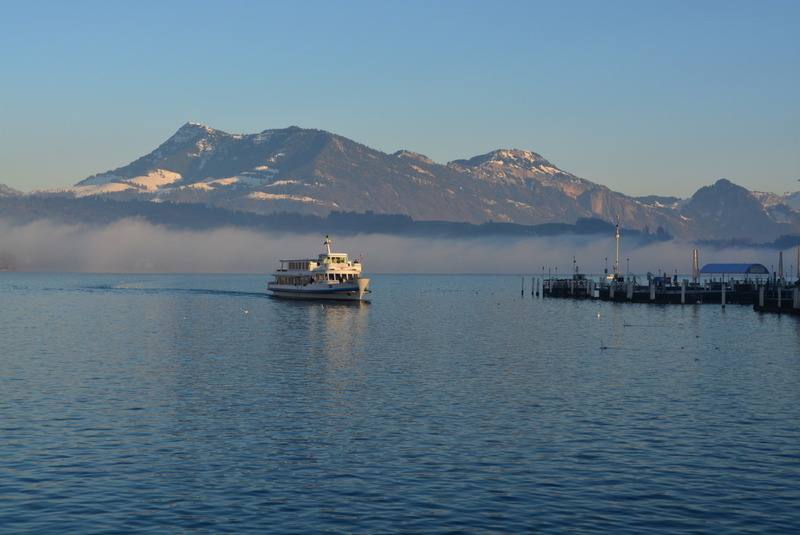 Go back down the mountain by panoramic gondola, aerial cable car and back to Lucerne by bus. You can do the other way round. The mountain offer loads of activities in all seasons. In the summer you can ride a summer sledge run or test your skills at the rope park at Fräkmüntegg or hike and bike lots of trails. In the winter-time go snow-shoeing or rent a sledge and ride over the snow to the valley. In the hot summer months, join the locals in the Ufschötti, a public park with access to the beach. Have a picnic, take a dip into the refreshing waters of Lake Lucerne, sunbath or do some sports, as frisbee, football or badminton. Cons: Park is very popular with locals and can be very busy in the hot summer days. Wow..I really want to visit Luzern!Hopefully soon this summer. It is quite close to me (Basel)! I would love to read about your visit experience. Tons of great ideas! I love it. I didn’t do some of these when I visit. Well, I guess that is an excise to go back. I particularly liked the lion. it such a moving monument. 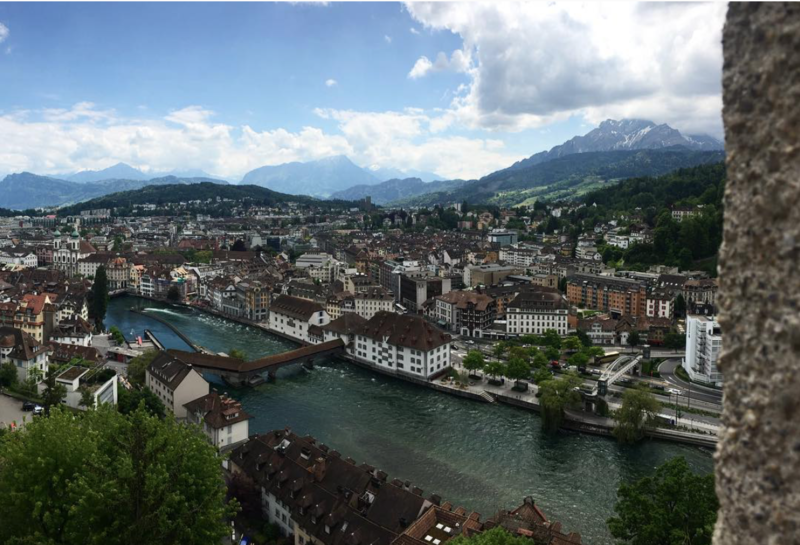 You’ve absolutely made me want to visit Luzern! I love your beautiful photos. You’re right, that lion looks exactly like Aslan! I was in Luzern with a Swiss friend on a day trip from Zurich a loooong time ago. Loved it! Oh yes, Lucerne is an interesting little town. I might be a bit biased, but I think it is one of the best places to visit in Switzerland. Rigi is great too. The views are similarly awesome as at Pilatus. It’s hard for me to decide which mountain is better – if I’m honest I don’t remember why I’ve put Pilatus and not Rigi on the list. That chocolate looks so tasty!! It is unfortunate that it is so expensive. 😦 The wooden bridges look beautiful!! Love your pictures! Wow the view from Mt Pilatus is insane! I’d definitely be up for that trip! And who could resist tasting Swiss chocolate?! I really want to do all of these 10 things, specially hiking Mt Pilatus and eating Swiss chocolate! Lucerne has to be one of my favourite places in Switzerland and reading this brought back fond memories. I recommend the Musegg wall whenever people ask about things to do there. 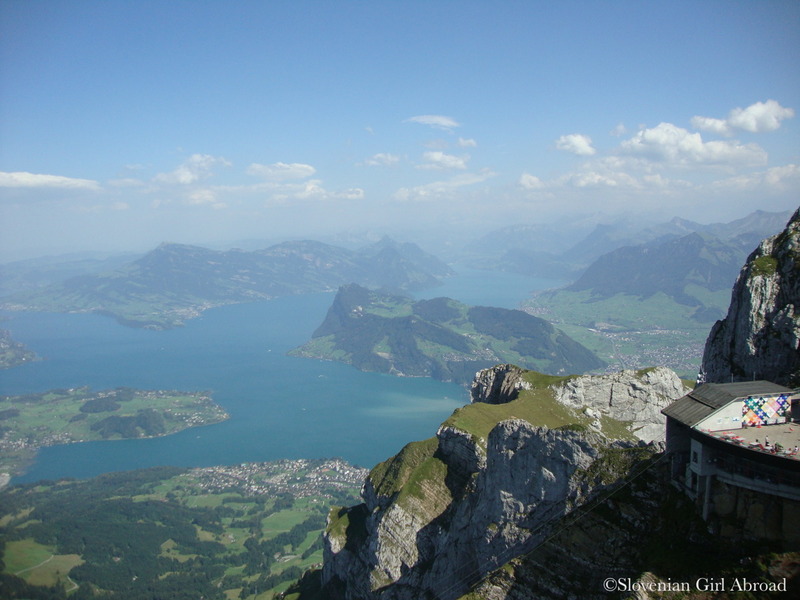 I’ve yet to reach the top of Mt Pilatus but that view definitely makes me keen to visit there next time.